The battle to win the eighth season of Jhalak Dikhhla Jaa Reloaded began with the performance of the top four contestants Sanaya Irani, Faisal Khan, Mohit Malik and Shamita Shetty perform on ‘Aaj Ki Raat Hona Kya’ with the super judge Ganesh Hegde & Jhalak’s trophy. The super Jhalak finale got sizzling as soon as the ravishing Shilpa Shetty made an entry on the show. The actress came on the show to cheer her sister Shamita and also dance with her in the song “Sharara-2”. Shahid welcomes his co-star Alia on Jhalak. Alia tells everyone about her character in Shaandaar. She plays the role of a girl who is forgetful. Sanaya’s performance has the elements fire, water, wind in her aerial act. 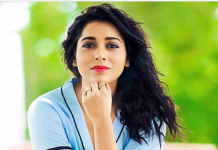 The actress gave a sizzling performance with choreographer partner Jai. The team of Comedy Nights Bachao star cast takes over the Jhalak stage. Bharti Singh and Krushna Abhishek along with Sudesh Lahiri join the host on stage. Faisal Khan got a standing ovation from the judges and special guest Alia Bhatt. He used fire spewing guitar, smoke effects, mirrors as reflection and visual illusions props in his performance. He also danced with Shaandaar actress Alia Bhatt. The actress turned producer and judge of Jhalak who has some rocking item numbers to her credit was looking sizzling in in black and gold outfit. Host of Jhalak Dikhhla Jaa Manish Paul performs with the two gorgeous ladies Maliaka Arora Khan and Lauren. They together danced on “Tune Maari Entriyaan” from the film Gunday. 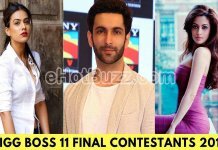 Now it’s time to decide the top three contestant for jhalak finale and Mohit Malik was eliminated from the top three list of jhalak’s top three contestant. The top three contestants who will battle for the Jhalak trophy are Sanaya Irani, Faisal Khan and Shamita Shetty. 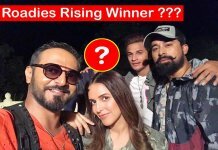 It was the first time in the finale of Jhalak Dikhhla Jaa Reloaded when a child contestant Faisal Khan was crowned the winner of the dance reality show. He was the first child actor who had won ‘Jhalak Dikhhla Jaa’.